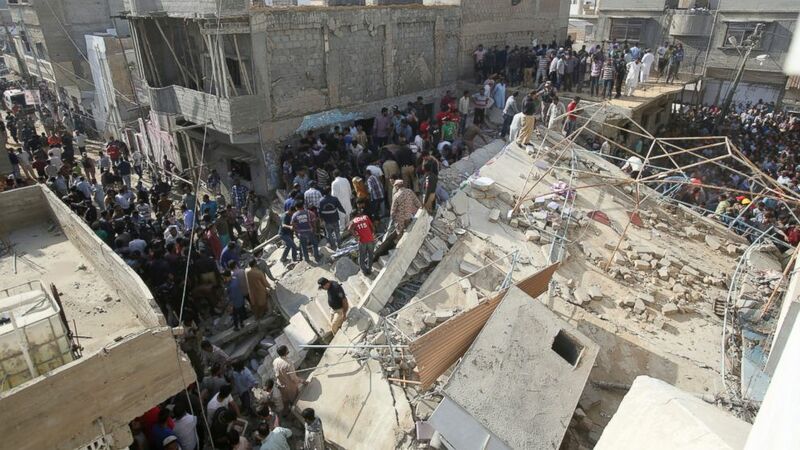 A Pakistani rescue official says at least two bodies have been recovered from a three-story building that collapsed in a suburb of the southern port city of Karachi. Mohammad Shaukat says the small residential building collapsed as construction work was underway next to it in the city's Malir neighborhood on Monday morning. Shaukat says four injured, including a woman and two children, have been rescued. He says rescue workers and volunteers are searching for more people. The narrowness of the street is preventing them from bringing in more heavy equipment. Police officer Amir Farooqi says it's unclear how many were trapped but the building housed two families with a total of about 13 people. Lack of implementation of safety regulations and shoddy construction often cause such incidents in Pakistan.